Alan S. Pierce has served as chairperson of the American Bar Association Worker’s Compensation Section and the Massachusetts Bar Association’s Section on Workers’ Compensation Law. He frequently lectures on workers’ compensation issues around the nation, and in 2007 became one of the first attorneys in the country to be inducted as a Fellow into the College of Workers’ Compensation Lawyers of the American Bar Association. Justin Beck talks about the role of nurse case managers and highlight the ways they promote synergy between the carriers, providers, and patients involved in a claim. Chris Brigham talks about the sixth edition of the AMA Guides Impairment and whether it is a valid measure of disability ratings in the workers’ compensation setting. 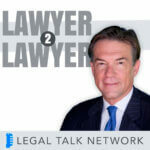 Bob Wisniewski talks about his experience as a workers’ compensation attorney and explains why an injured worker would seek out legal representation for a claim. Omar Hernández explains the Opioid Alternative Treatment Pathway, which is a program that Massachusetts’ DIA launched, talks about how it works, and how it helps address the opioid epidemic. Are Student Athletes Eligible for Workers Comp? Taylor O’Toole talks about the debate on whether student athletes at larger universities should be considered employees and, as such, should be entitled to workers’ comp. Rick Victor discusses major changes in the workers compensation system and the new conflicts injured workers are dealing with. George Beilin talks about the different methods of measuring pain and the importance of coping with pain in a healthy way. 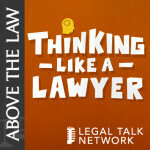 Justin Beck and Vincent Quatrini discuss Pawlosky v. W.C.A.B. and how the case set a new precedent for burden of proof and causation standards. 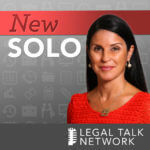 This legal podcast discusses third party liability waivers in employee contracts and how both insurance companies and lawyers are reacting to them. Are Workers’ Comp Benefits Adequate? Peter Rousmaniere talks about whether workers’ compensation benefits truly meet the needs of injured workers. The potential effect of President Trump's administration, and a Republican majority in Congress on state-based workers’ comp programs. In this episode of Workers Comp Matters, host Alan Pierce talks with Dr. Roberto Feliz about pain management and Scrambler Therapy. Alan Pierce speaks with Rebecca Curtis about her work-related injury, her road to recovery, and the company she founded to help other injured workers like herself. Alan Pierce talks with Jennifer Wolf Horejsh about the International Association of Industrial Accident Boards and Commissions (IAIABC) and the recent challenges to workers’ compensation in the United States.